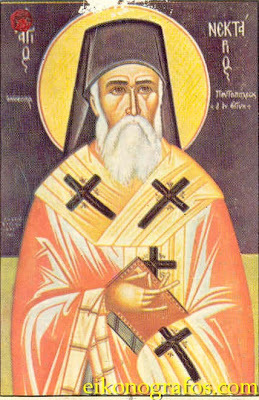 CHRISTOLOGY by St. Nektarios, Bishop of Pentapolis. Translated [and published] by the Fathers of the Holy Monastery of Saint Nektarios, NY. 2006. Excerpt from Chapter 4. God Revealed the Coming of the Redeemer. "Clement of Alexandria spoke in accordance not only concerning the prophets, but also the Greek philosophers themselves, such as Socrates, Plato, and others. Similarly, Origen acknowledges various degrees of divine inspiration even amongst the Gentiles. But why should we supposedly deny divine inspiration for the Gentiles? Does God show favoritism? Is He the Father of the Judaic nation only? Or would not the future Redeemer of mankind also be a Redeemer for all mankind? 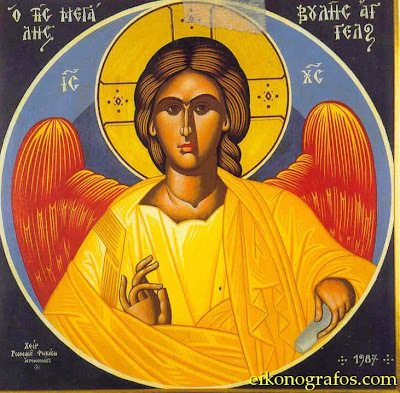 Or is God only for the Jews and not for the Gentiles? Why then should He abandon the nations to disbelief and despair? Why should he not likewise prepare them also to receive the future Savior and Redeemer, especially since He knew through His omniscience that the nations would glorify Him, worship Him, and believe in Him? Therefore, the nations received the gift of divine inspiration, and men among the Gentiles, who were godly inspired, foretold the arrival of a Redeemer and Savior of the world. According to Souidan and Nikifore Kallistos' Ecclesiastical History, when Augustus traveled to Delphi to inquire of the oracle regarding the identity of his successor, he received the following response"
To leave from this temple and to return to Hades again.